Jason Stein (PI) is an assistant professor in the Department of Genetics and the Neuroscience Center at the University of North Carolina at Chapel Hill. He received a BA from Northwestern University in the Integrated Science Program and then pursued post-baccalaureate work at the intramural program of the National Institute of Mental Health with Andreas Meyer-Lindenberg. He received his PhD in Neuroscience from the University of California, Los Angeles working under Paul Thompson, where he worked on discovering the genetic influences on macroscale human brain structure. He also completed post-doctoral training at the University of California, Los Angeles under Dan Geschwind where he developed tools to evaluate how well neural stem cells model brain development and studied regulatory regions governing human neurogenesis. 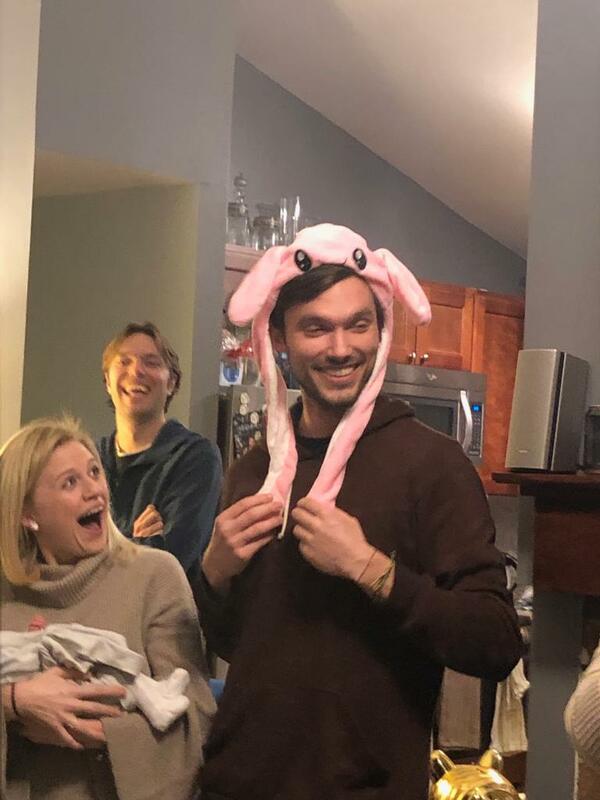 Justin Wolter is a post-doc in the UNC Neuroscience Center and is a CIDD T32 Post-Doctoral Fellow co-advised with Mark Zylka. Justin received his BS in Psychology at Utah State University, and earned his PhD at Arizona State University under the mentorship of Marco Mangone, where he studied the connection between evolution and targeting principles of microRNAs. In the Stein lab, Justin is using genetically diverse human neural progenitor cells to study how common genetic variants influence molecular phenotypes associated with neurodevelopmental disorders such as autism. When not in the lab, Justin enjoys boating with the fam, brewing, and playing music. 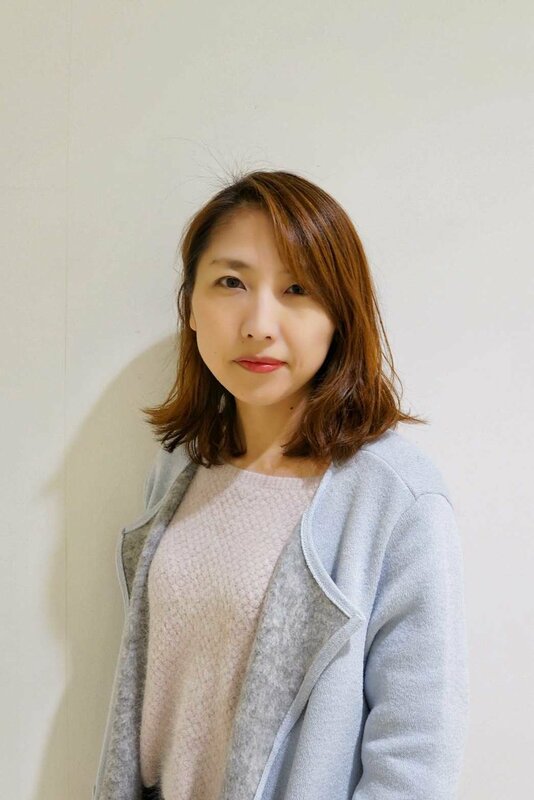 Nana Matoba joined the lab in 2019 as a post-doc, jointly advised by Hyejung Won. She earned her B.S. from Kyushu Institute of Technology (Dept. Biochemical Science and Engineering). After five years of experience as a system administrator/software engineer at Mitsubishi Space Software Co., Ltd, she earned her M.S. in Medical Science from Saitama Medical University. She completed PhD in Medical Sciences from the University of Tokyo under Tadafumi Kato, where she studied genetics of bipolar disorder through whole exome sequencing of trio families. Then, she studied GWASs of lifestyle related phenotypes in BioBank Japan Project at Lab for Statistical Analysis, RIKEN under Yoichiro Kamatani. She is interested in studying the genetic components of human behaviors. She joined Stein Lab to functionally annotate autism GWAS loci. Dan Liang is a graduate student within the Bioinformatics and Computational Biology program. She earned her B.S. in Biology and Chemistry with honors from Jilin University. She earned her Master's degree in Biochemistry and Molecular Biology at the Institute of Biophysics, Chinese Academy of Science. She joined the lab in 2016. Oleh Krupa is a PhD candidate in the Joint Department of Biomedical Engineering at UNC - Chapel Hill and NC State. He earned his B.S. in Bioengineering and Masters in Biomedical Engineering at Cornell University. Afterwards he worked for two years at Rockefeller University studying the molecular mechanisms of Parkinson’s disease. Oleh is interested in applying his engineering skills towards expanding in vitro models of cortical development. Mike Lafferty joined the lab in 2017 as a graduate student within the Bioinformatics and Computational Biology program. He earned his B.S. in Chemical Engineering with a minor in Biochemistry from the University of Michigan in 2010. After graduation, Mike worked in Dr. Saskia Neher’s lab at UNC Chapel Hill studying mechanisms of lipase inhibition. He also has R&D experience at Research Triangle Park biopharmaceutical companies developing purification strategies for new therapeutics. Mike is interested in the computational challenges associated with large next generation sequencing datasets and ways these data can be used to understand human cortical development. Rose Glass joined the lab in 2018 as a graduate student in the neuroscience program. She earned her B.S. in biology with honors from Haverford College in 2017. Her undergraduate thesis focused on early hippocampal circuitry development in pediatric epilepsy. She's interested in how genetic variations lead to different developmental trajectories. Brandon Le joined the lab in 2019 as a graduate student in the Bioinformatics and Computational Biology program. His project explores how human genetic variation impacts signaling pathways and proliferation in the developing brain. He first joined the lab in the fall of 2017 as a Research Technician before returning to the lab as a student in the spring of 2019. Previously, Brandon taught high school life science classes in Durham for several years and has a B.S. in Cell and Molecular Biology from the University of Texas at Austin, and a M.S. in Neurobiology from Duke University. Nil Aygun joined the lab in 2019 as a graduate student in the Bioinformatics and Computational Biology program. She earned her B.S. in Molecular Biology and Genetics from Bilkent University, Ankara in 2016. During her bachelor study, in summer 2015, she worked in the group of Prof. Jürgen Knoblich at IMBA, Vienna, to establish an in vitro cerebellar organoids platform to model medulloblastoma. In 2018, she received her M.S in Neuroscience from Heidelberg University, Heidelberg in the group of Dr. Hai-Kun Liu, where she examined the role of chromatin remodeler CHD7 during early human brain development using cerebral organoid models. Nil is interested in mapping common genetic variants influencing gene expression profiles of neuronal cell types to better understand pathogenesis of neuropsychiatric disorders. Jessica McAfee joined in late 2018 as the Lab Manager and Research Technician for the Stein lab and Won lab at UNC Chapel Hill. She earned her B.S. in Biology at UNC Chapel hill. Her undergraduate research focused on using CRISPR/Cas9 on Arabidopsis thaliana and rice. She went on to work at NC State, and then lived in Japan for a year. Tianyi Liu is an undergraduate student at UNC Chapel Hill majoring in mathematics. He joined the Stein lab in 2017 and is interested in incorporating his mathematical skills into the studies in relevant fields such as biostatistics and bioinformatics. He is working on a project to automatically find and quantify cells in 3D microscopy images. Ellie Hadden-Ford is an undergraduate student at UNC Chapel Hill. She is majoring in biology with minors in neuroscience and computer science. Ellie joined the lab in fall 2017 and is interested in a career in neuroscience research. Jessica Mory is an undergraduate student at UNC Chapel Hill majoring in biology and neuroscience with a minor in chemistry. 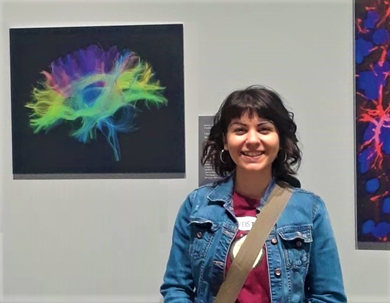 She joined the lab in summer 2018 and is interested in pursuing a research career in neurobiology. Grace Morningstar is an undergraduate student at UNC Chapel Hill. She is majoring in biology with a minor in neuroscience. Grace joined the lab in fall 2018 and hopes to pursue a career in neuroscience research. Karen Huang is an undergraduate student at UNC Chapel Hill. She is majoring in biology with a minor in chemistry. Karen joined the lab in early 2019 and is interested in genetics and neuroscience. Shivam Bhargava is an undergraduate student at UNC Chapel Hill majoring in Neuroscience with a minor in Medicine, Literature, and Culture. He is currently a freshman and is originally from Indianapolis, Indiana. Shivam joined the lab in 2019 and is interested in research about developmental disabilities and neurobiology. A photo album of people and science. Friends, family, and a kitchenaid celebrate the holidays with some good southern barbecue. Celebrating the completion of a year long project with Mediterranean catered lunch. The faculty from the Introduction to Imaging Genetics Course that Jason organizes at the Organization for Human Brain Mapping 2017 conference in Vancouver, Canada. From left to right they are: David Glahn, JB Poline, Sylvane Desrivieres, Jason Stein, Vilas Menon, Roberto Toro, and Derrek Hibar. A surprisingly nice day, outside journal club, and an interesting paper on somatic L1 transposition. Vladimir Ghukasyan exploring all the inhibitory neurons of a mouse brain in virtual reality. 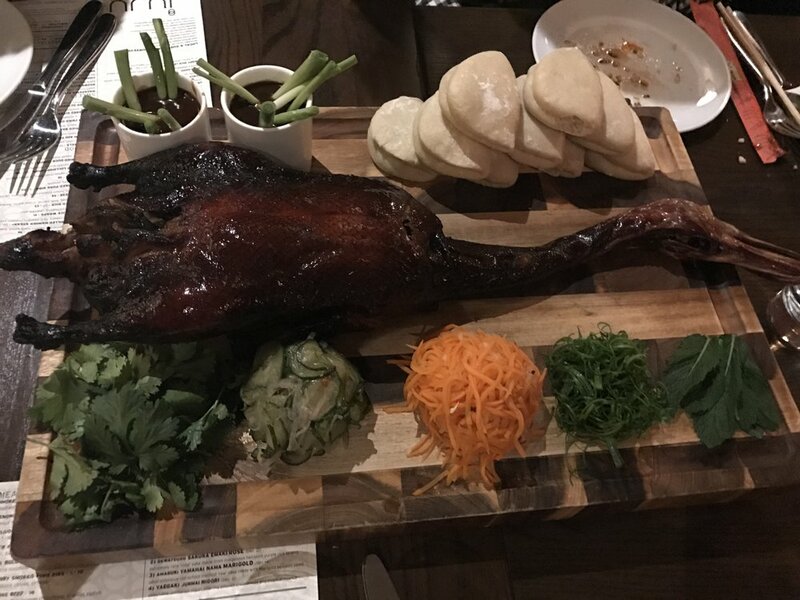 We ate this duck. Not a looker but it tasted good. Angela Elwell was the Lab Manager/Research Specialist for the Stein Lab at the University of North Carolina – Chapel Hill. She received her BS in biology from the University of Wisconsin-Madison. Angela has worked in several labs across the UW-Madison campus, which included research in plant physiology, forest mycology, human clinical trials, and veterinary medicine research. Her most recent position involved being a Senior Research Specialist at the Morgridge Institute for Research where she worked in James Thomson’s Lab to help facilitate next generation sequencing for various stem cell projects relating to regenerative biology. Selene Barbosa Cardenas is an undergraduate student at UNC Chapel Hill. She transferred To UNC Chapel Hill in 2017 from Cape Fear Community College. She is double Majoring in Biochemistry and Neuroscience. Selene joined Stein Lab through the summer research program SMART in 2018. Zachary Humphrey completed his work as an undergraduate student who began studying at UNC Chapel Hill in 2014. He majored in Quantitative Biology and Computer Science. He joined the lab in 2017. He worked on a project to automatically find and quantify cells in 3D microscopy images. Shana Hall completed a postdoctoral rotation in the lab in 2016 as part of her T32 training grant from the Carolina Institute for Developmental Disabilities. She is currently working with Dr. Jessica Cohen at the University of North Carolina investigating disruptions in neural networks and in learning in children with attention-deficit/hyperactivity disorder. Kerry Cheek worked extensively on a high throughput cell culture differentiation project while working in the Stein Lab. She completed working in the Stein Lab as a Research Technician in August 2017 to pursue a MS in Environmental Sciences at University of Edinburgh. Leo Zsembik became an undergraduate at UNC Chapel Hill in the fall of 2015. He is currently working on a double major in biology and psychology with a minor in chemistry. He joined the lab in March of 2016 and is interested in understanding how genetic variation influences human brain structure. Leo complete his work in the lab in August 2017 to start a internship in Martin Styner lab. Lindsey Molina is an undergraduate of UNC Chapel Hill's class of 2020. She is majoring in Nutrition and is interested in the field of medicine. She joined the Stein Lab in the spring of 2017 and is looking at how genetic variation influences the morphology of human neurons. Lindsey complete her work in the lab in September 2017 to focus on her degree. Kenan Courtney joined the Stein Lab as a Research Technician in August 2017. He received his B.S. in Biology from the University of North Carolina at Chapel Hill. After graduating, Kenan joined the National Institute of Mental Health as a Research Fellow for two years, where he investigated circadian gene expression in NPCs. Kenan completed his work in the lab in December 2017 to obtain a Master’s degree in Public Health at Harvard University. The Stein lab is part of the Department of Genetics and UNC Neuroscience Center at the University of North Carolina School of Medicine . We are actively recruiting creative thinkers with strong motivation to pursue genetics research applied to questions in neural development and neuropsychiatric illness. Molecular biologists and geneticists interested in large-scale, well-powered projects as well as statistical and computational thinkers interested in applying their skill sets to molecular biology are both encouraged to join. If you are a grad student interested in a rotation, please email Jason. If you are a interested in a postdoc position, please send a CV to jason_stein _at _ med.unc.edu.